New in slip case and publisher's shrink-wrap - no marks or damage! About Ward Kimball (Introduction) : Ward Kimball is credited in children's books. 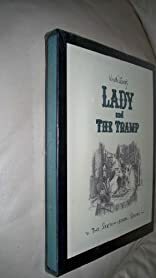 A published credit of Ward Kimball is Walt Disney's Lady and the Tramp (The Sketchbook Series , No 6).